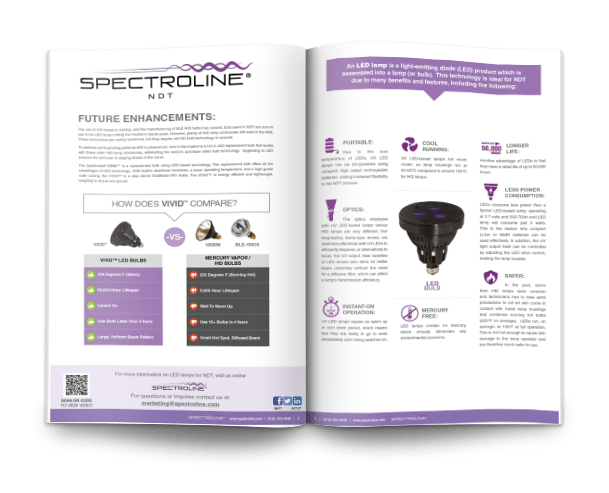 Spectroline® frequently surveys NDT technicians and distribution companies across the globe about industry practices, challenges, and goals. This trend report examines the major uptick in use of LED technology in lamps for fluorescent inspection, and the benefits of LED over bulb lamps (HID and Mercury Vapor). The results contain a few surprises and a number of opportunities for NDT technicians to unlock in the year ahead. Download the full 5-page report above for our top insights into 2017 NDT Trends.